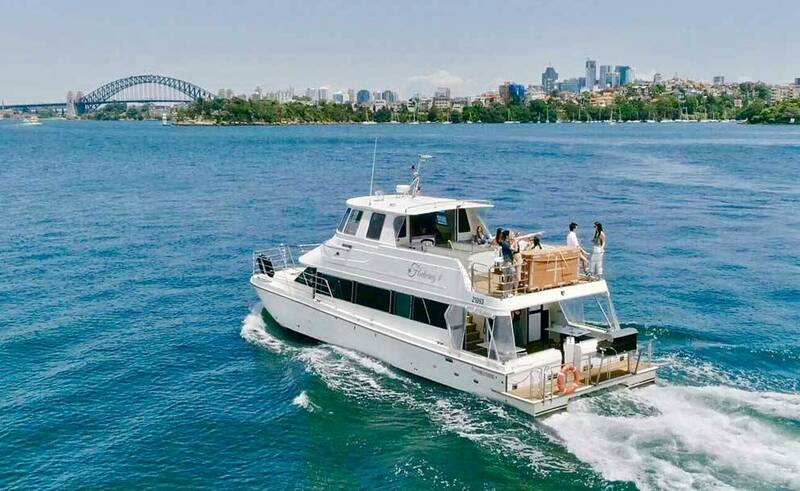 Enjoy a fabulous day cruising Sydney Harbour on board this versatile and spacious 53ft catamaran cruiser. 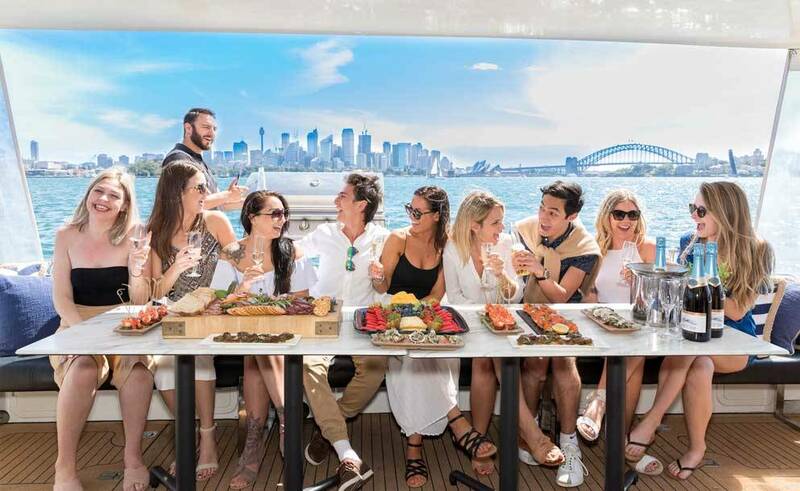 Fleetwing II is perfect for corporate, social and family gatherings with the modern, on-trend look and affordability being just two key features. 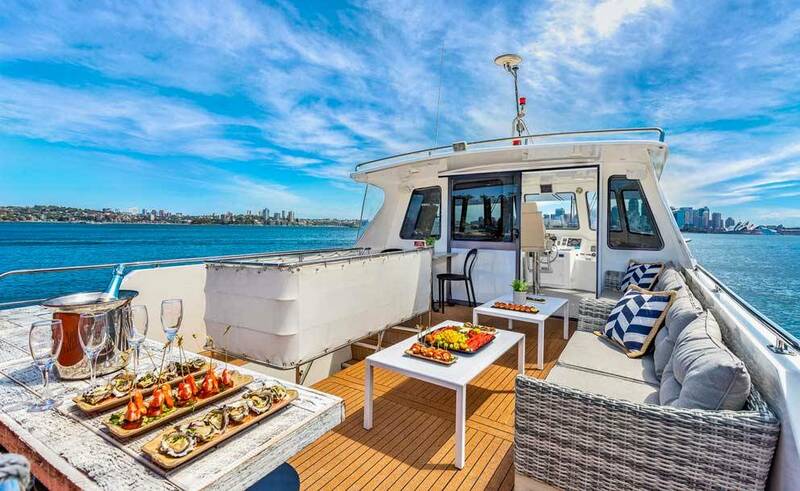 With an expansive upper deck and large front bow area, there is plenty of room on board for everyone to relax, enjoy the sunshine and take in the iconic cityscape and harbour views. 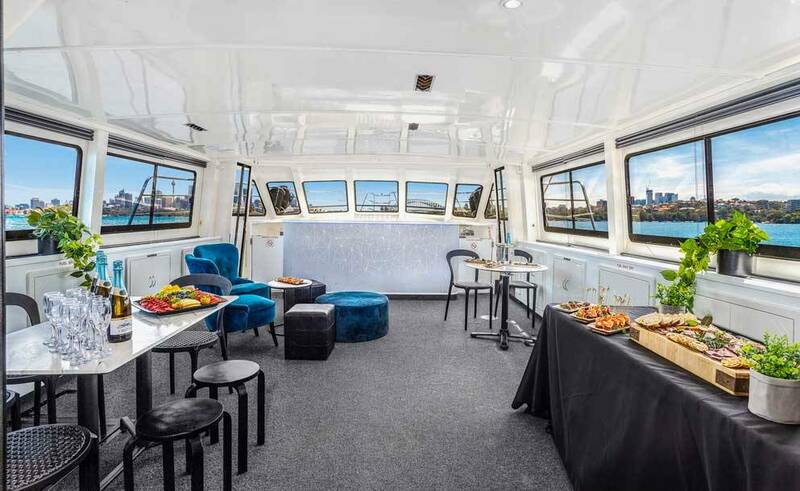 Fleetwing II’s spacious and practical interior provides plenty of room for guests to spread out and the vessel can comfortably accommodate for the max capacity number of passengers in the event of inclement weather. An undercover rear deck provides additional entertaining space so you can continue to enjoy the fresh air and views in spite of a shower or two. Fleetwing II comfortably accommodates up to 46 passengers for a cocktail party or a casual buffet. The music comes courtesy of a top of the range sound system which has AUX/USB/Bluetooth connectivity. On Board there is also a flat screen TV/DVD player as another great entertainment option. The vessel has a fully licensed bar on board and a number of truly mouth-watering premium catering food and beverage packages. You will find there’s something to suit everyone. Alternatively, if you want to bring your own food and drink there’s an outdoor gas BBQ on board, which the crew will cook for you and fridge/esky facilities are available also. 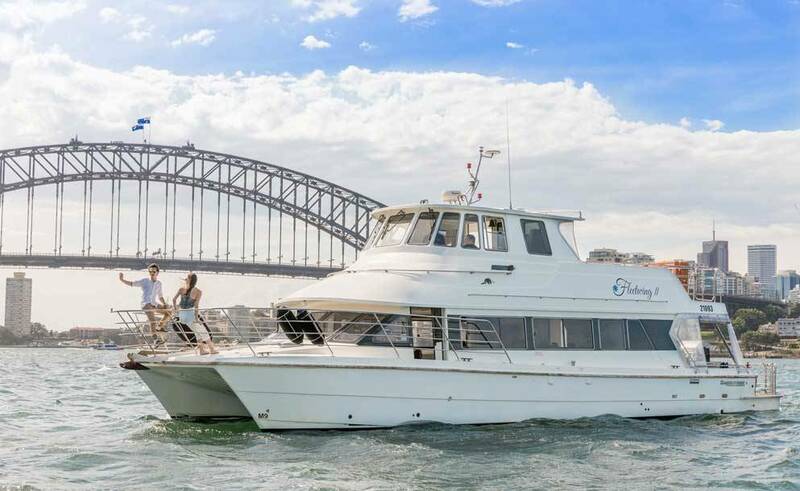 Fleetwing II is a beautifully cared for catamaran and with exceptional service delivered on board, the vessel has all the elements for an amazing harbour cruise! *An extra hour is charged for locations west of Gladesville Bridge, Manly and Balmoral. Utensils, use of eskies and garbage disposal. The crew will cook the BBQ when vessel is stationary. damage to the vessel after your cruise or if any excessive cleaning is required outside of the normal routine.